As the Expansion of Digital media and downloading services providing more space for the online video viewers, need to protect the video content from the illegitimate Viewers. Sometimes, it’s necessary to safeguard the Live video content theft from the Unauthorized users. For protecting our Live video content, we should maintain individual players, which can solve your problem of content piracy. Many commercial videos and audio platforms use different technologies to protect their content. Previously people useDRM which allows encryption codes for each company. Redirect services will be one of the best solutions to protect the Live Videos. Redirect services send a temporary URL which can expire after some time. You can strengthen it with referral check-ups. 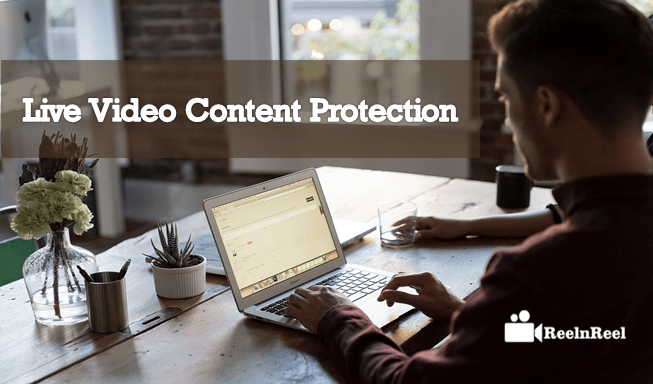 The content owners maintain video content protection system (VCPS) which allows standard digital management statagies to protect the digital media content. The VCPS has stanadars measures of safeguarding digital video content. As the increase internet speed and adaption of the mobile streaming, it becomes easy to consume the video content. People are searching for various ways to get benefited by the illegal distributing the video content form the streaming channels. Here are the best strategies for the Media Broadcasters to protect their content from the illegal distribution. Implement Anti-Piracy strategies. Be prepared and have new automated technologies to avoid fighting against the Anti-piracy. Get ready to Fight Against the New piracy channels. It is a challenging issue for the right owners to hide your content from the infringements. Monitor the Illegitimate user Activities on the Internet. Make sure to follow the regional top piracy sites. Make use of piracy content by implementing smarter business ideas. Pirated content can be used in many ways to earn revenue. Downloading the streaming content by Unauthorised users is difficult. Still, some illegal activities are going on while live streaming the content. So we should implement the best measures to protect the streaming content. We can preserve the video content in many ways. Here are the top four ways. Some companies or streaming providers offer invisible watermarking to their videos which means they tag their content with fingerprints. The main advantage of using this invisible watermarking it ties up with a single user, and it does not affect the video. Easy to apply to the existing video without re-encoding. The only drawback is it requires special software to create. Visible watermarking involves placing the Text or a logo on the video to showcase the owner of the company. In another way, we can use it for promoting your business. It is easy to place watermark and free to use. No need to maintain specific software to create. Best way to use the visible watermarking to protect the Live video from illegitimate users. It does not provide physical protection mechanisms. Live streaming video files make challenging to download it, but some people like to download it. It is only possible through specific software like Adobe Media Servers and HTML streaming software. Difficult to download the files and playback the video. Additional features should require to replay the data and match the quality of the video. Any unauthorized users can not download the video, because it still requires tech savvy user-specific software. Some other Live videos require some technologies from the server side. It is the ultimate technique to protect the Live video content. HTML content protection protects web technologies without any need of using the plugin. Here we can link the HTML web links to the third party protection systems. It offers a physical protection mechanism to the live videos. We can provide more protection through this web browsers and can manage it on our own like we can set a specific functionality to the live video. Right owners need to maintain and stay active to fight against the content piracy and follow the above measures to protect your live Video content from the illegal distribution.